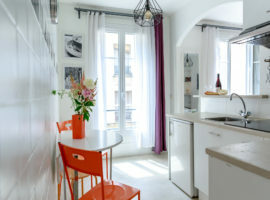 The Toulouse apartment is cosy and charming. 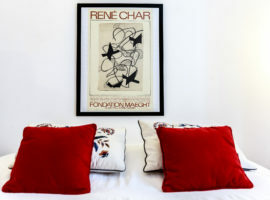 With red nuances of cabaret, it represents the essence of Montmartre. 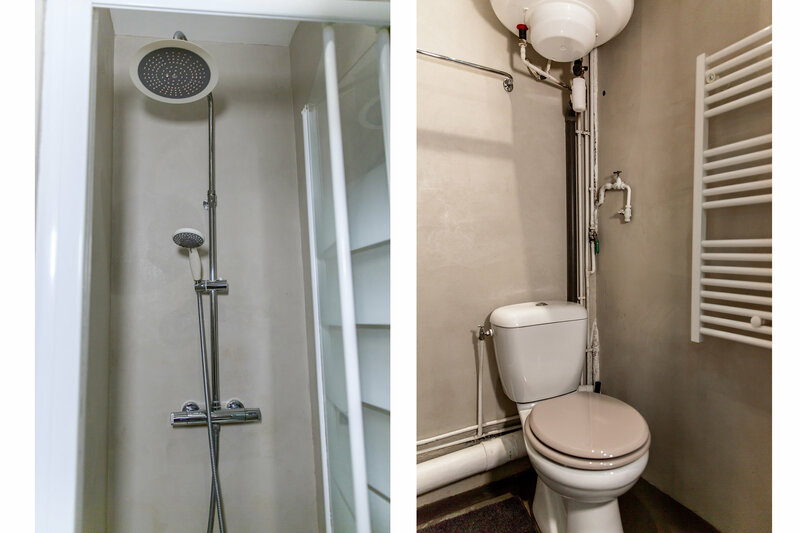 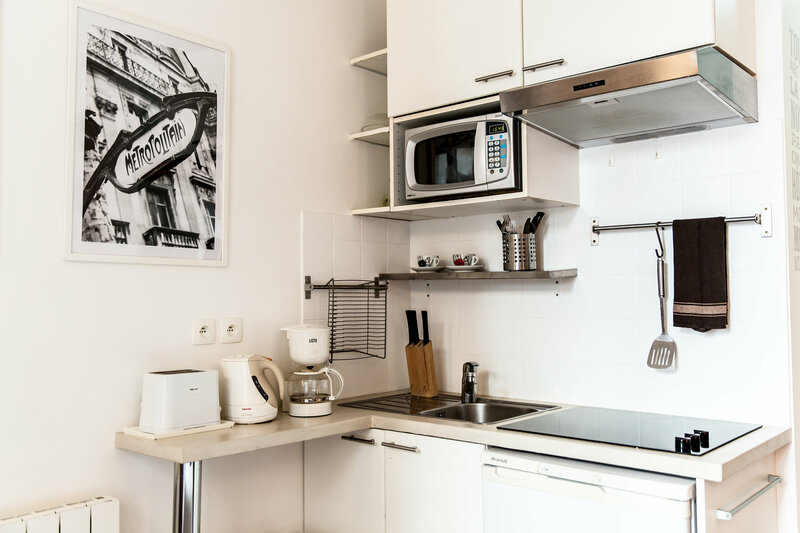 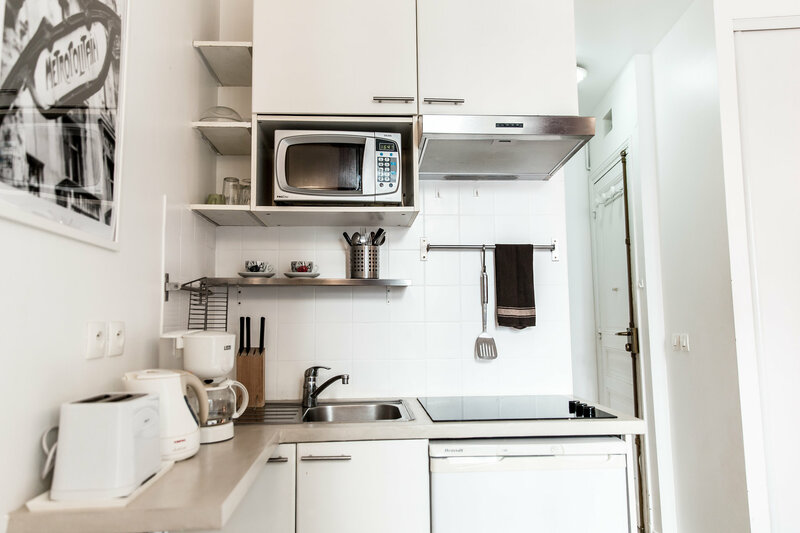 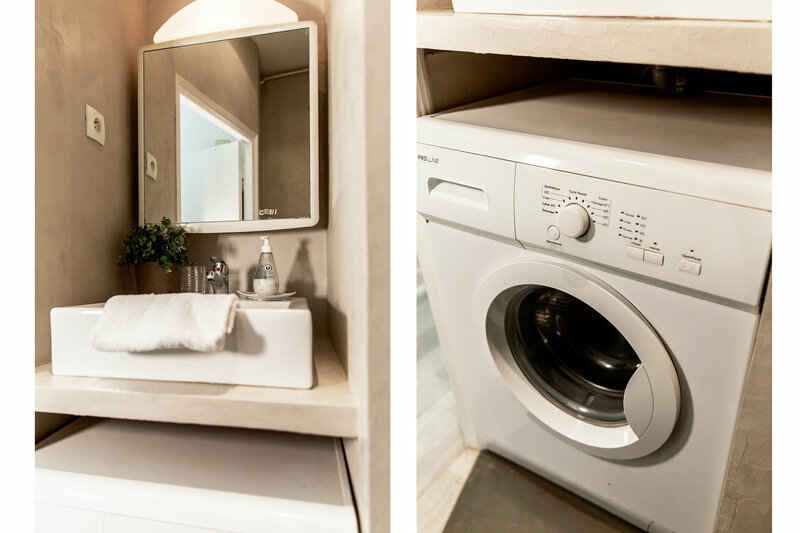 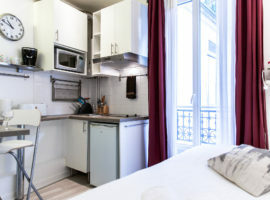 The studio apartment is fully equipped with a kitchenette and bedroom in the same space – giving better access to all facilities. 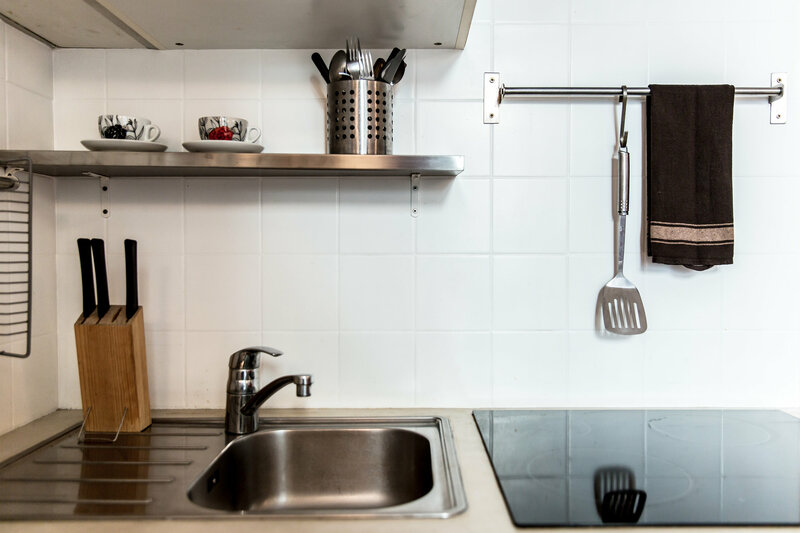 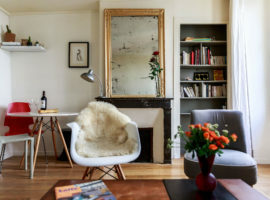 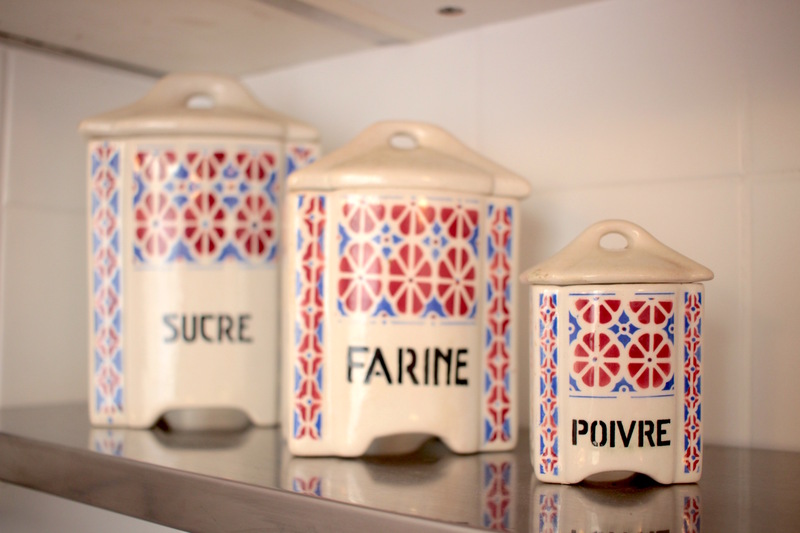 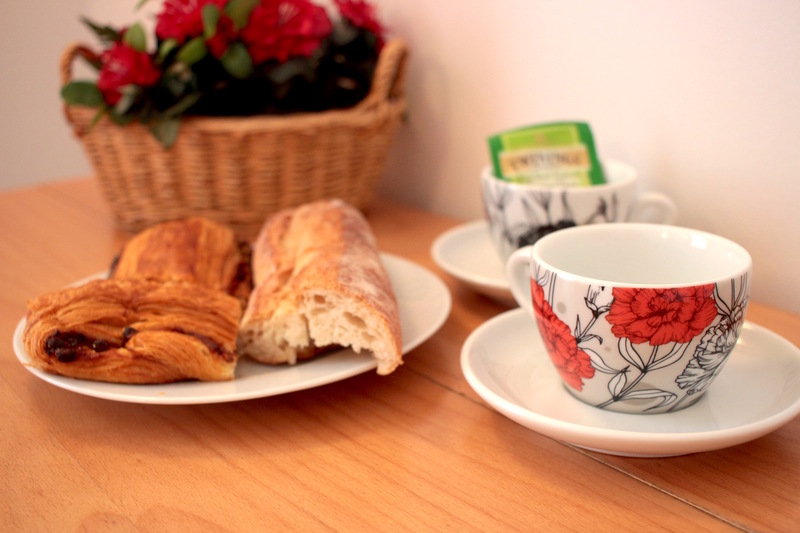 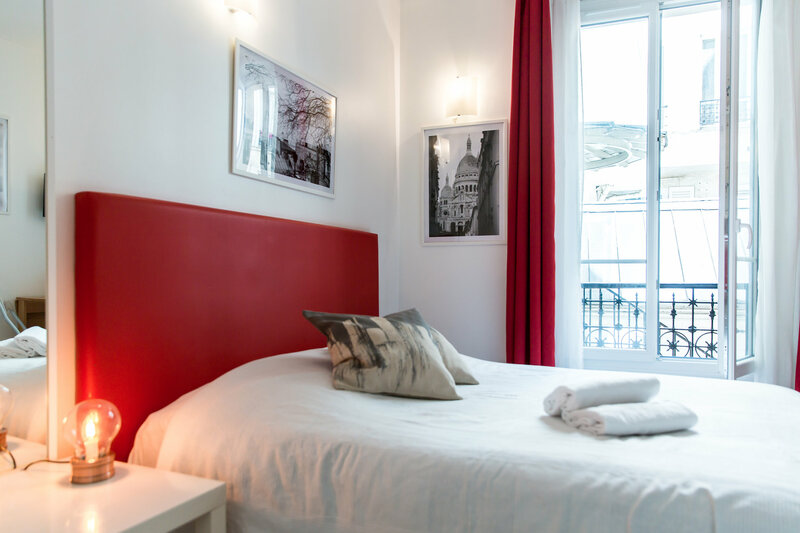 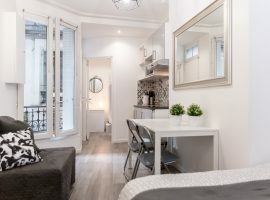 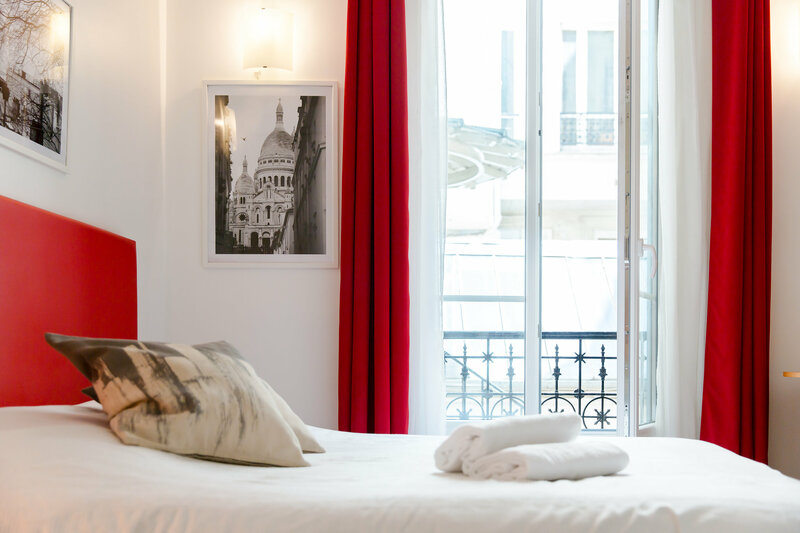 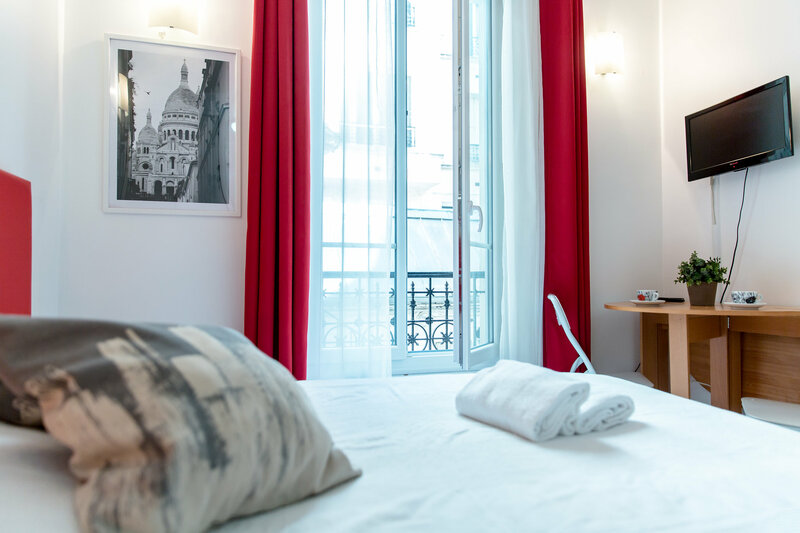 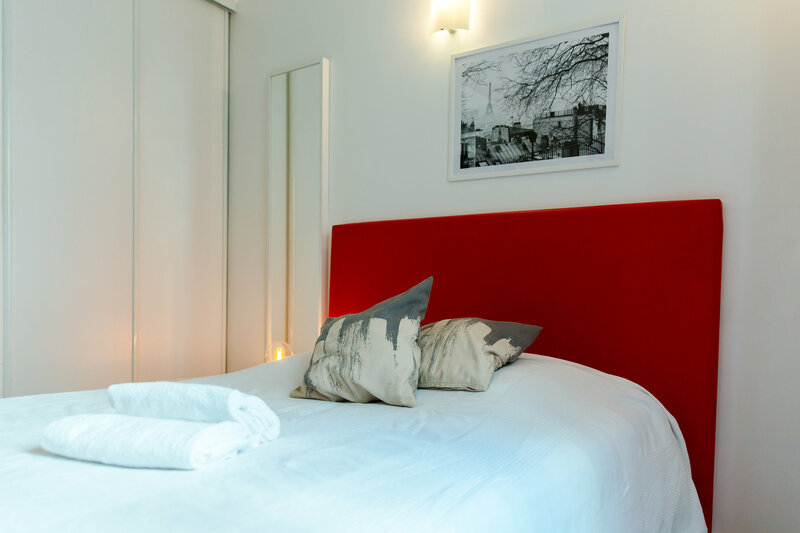 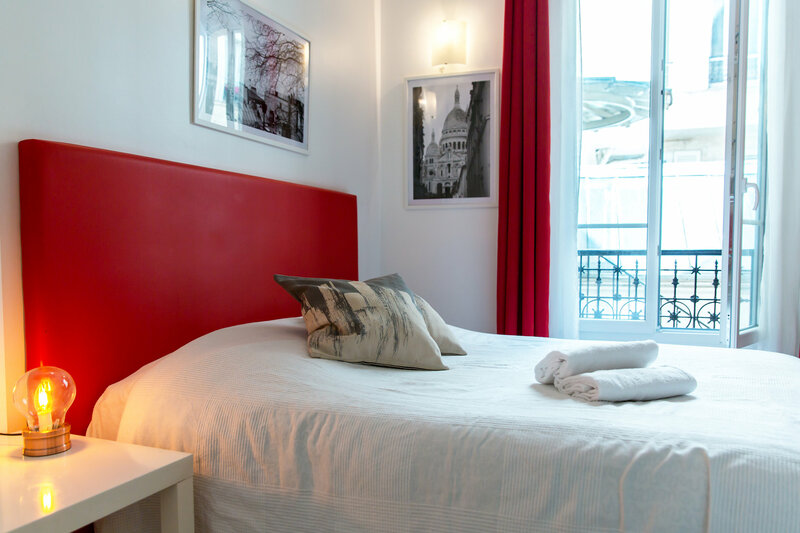 Perfect for couples the Toulouse is simple with all the essentials for a great stay in Paris. 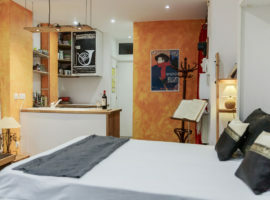 Located in the heart of Montmartre, it offers multiple access to transports, shops, cafés and restaurants. 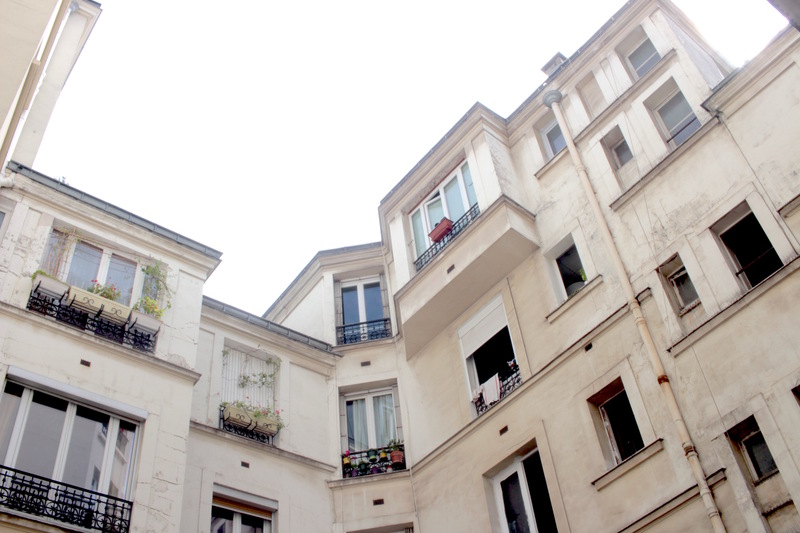 In a quiet building, with view of a calm courtyard, isolated. 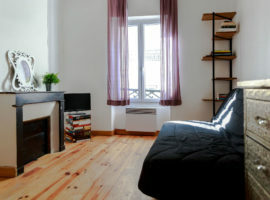 1st floor without a lift – the apartment is very secure with a guardian. 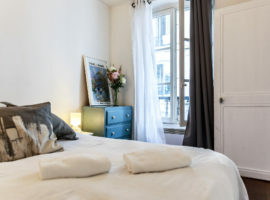 © 2019 Montmartre Apartments All rights reserved.